Video dating is a new way to get to know someone without ever meeting face-to-face. Online dating is strange, isn’t it? We spend so much time swiping, scrolling and crafting the perfect introduction before we even exchange a word with a potential match. Dates are more accessible than ever before thanks to the internet, but it’s also more challenging to find a match. More people meansless compatible partners you have to sift through right off the bat, and even if you like someone’s profile, there’s no guarantee that you’ll really hit it off in person. Photos and words only go so far, so many popular dating sites are taking things to the next level and incorporating video features into their platforms. Although the stigma around online dating has shifted dramatically over the last decade, the fact of the matter is that many people still struggle with it. As great as it would be to simply log on to an app and have it present Mr. or Mrs. Right, raring to go, that just isn’t how it works. Online dating is just a piece of the puzzle. A relationship is more than the sum of its parts, which includes how a couple meets in the first place. So, whether you’ve been out of the online dating arena after one-too-many failed Tinder dates or are looking to make more successful matches, is online video dating worth trying? There are some definite advantages to video dating that even a skeptic can’t reproach. For starters, you have the ability to actually hear a person’s voice and see how they speak before you meet. It’s hard to discern what someone will really be like based off their photos, and you can tell a lot about a person from the first impression they make on film. You also get to see what the person actually looks like. Facetuning and Photoshop exist, and while it’s strongly discouraged, there are still a lot of people out there who edit their pictures before posting them on their profile. A video is a lot harder to manipulate. You’ll get to see their smile (hopefully!) and get a better idea of what they’d be like on a date. You also have the ability to establish some sort of rapport before you meet. 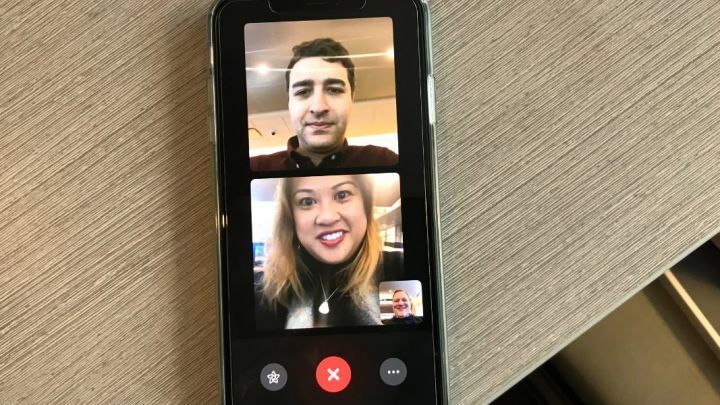 Most of us aren’t comfortable at the thought of receiving a random video call from a stranger, but it can actually make things a lot easier for a budding relationship. You can establish a baseline connection and feel more at ease should you decide to take things offline. Last but not least, you can’t be catfished with video dating! Many apps and websites require users to record their video through the app, so there’s no way for them to fake their identity. Insecure people are less likely to use online video dating. In fact, many people who are socially anxious turn to online dating as a means of meeting people without having to actually approach them in person. Some people need to feel more emotionally secure in a connection before they’re willing to meet face-to-face, and that’s valid. But you may wind up with less potential matches if you rely solely on video dating. There are simply a lot of people out there who find it too uncomfortable or off-putting to give it a shot, but that doesn’t mean they aren’t great people. Another con of video dating isn’t major but still worth noting – awkward encounters. It’s possible that you’ll agree to message someone and schedule a video call only to find that you two have nothing in common. The entire call is radio silence. This could be bad, but honestly, having to end a video call with someone is a lot easier than having to sit through an awful first date. Is Video Dating Right for You? If you’re already online looking for love, there’s no real reason why you shouldn’t give video dating a shot. If you like it, great! If you don’t, you haven’t lost anything by trying it out. At the end of the day, you have to follow your gut when it comes to dating. Don’t be afraid to push yourself a little out of your comfort zone in the pursuit of love, and embrace the opportunity to grow and become more confident as a person while you navigate the dating scene.